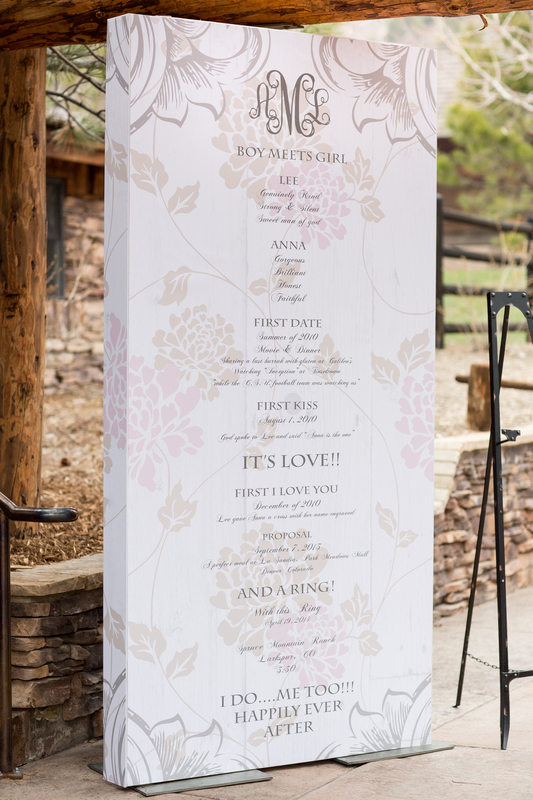 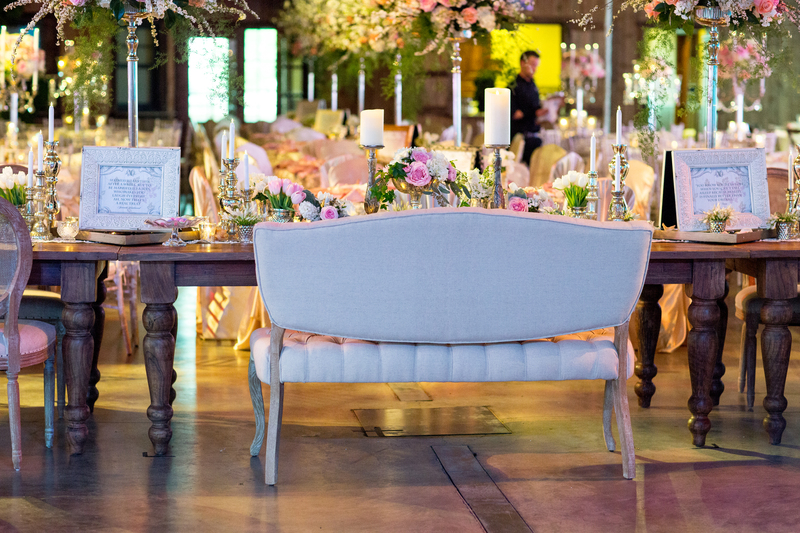 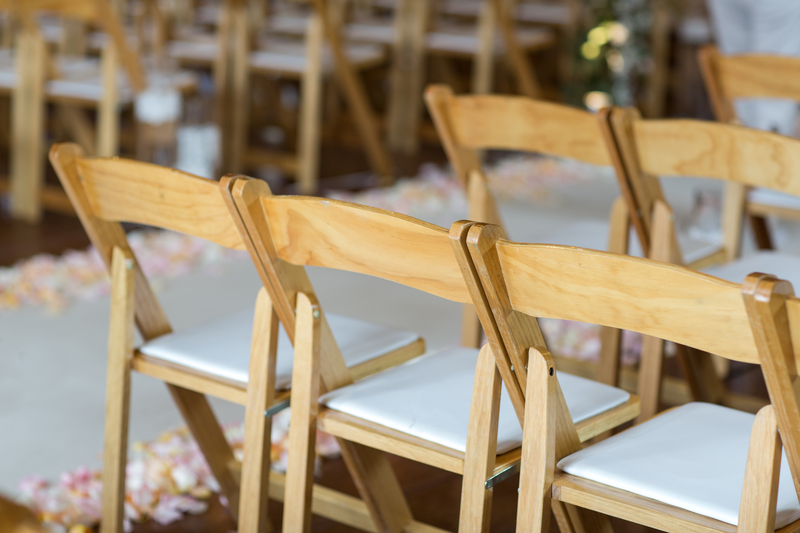 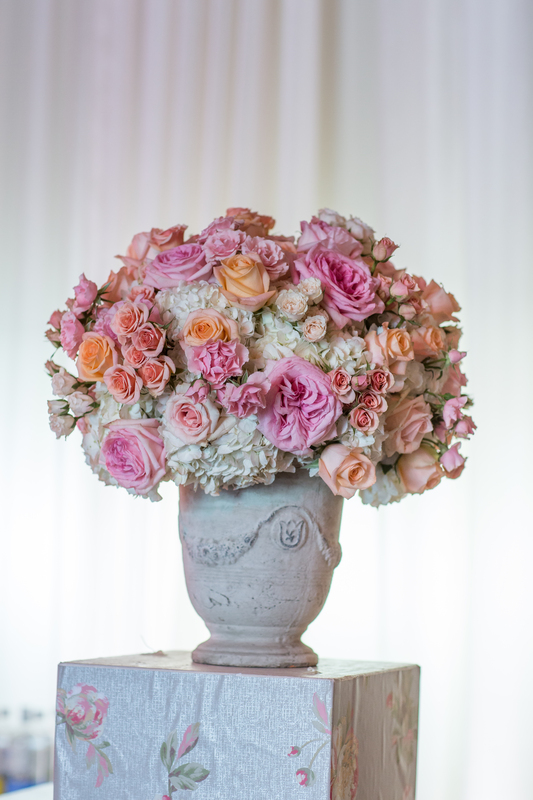 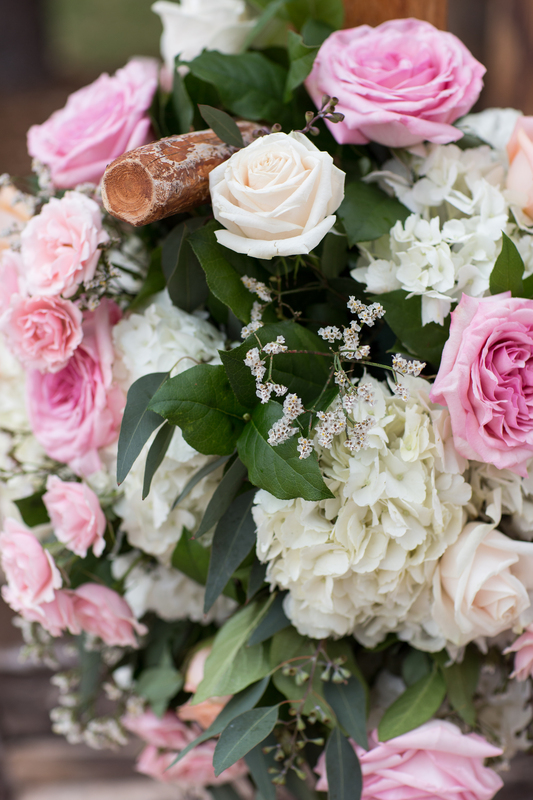 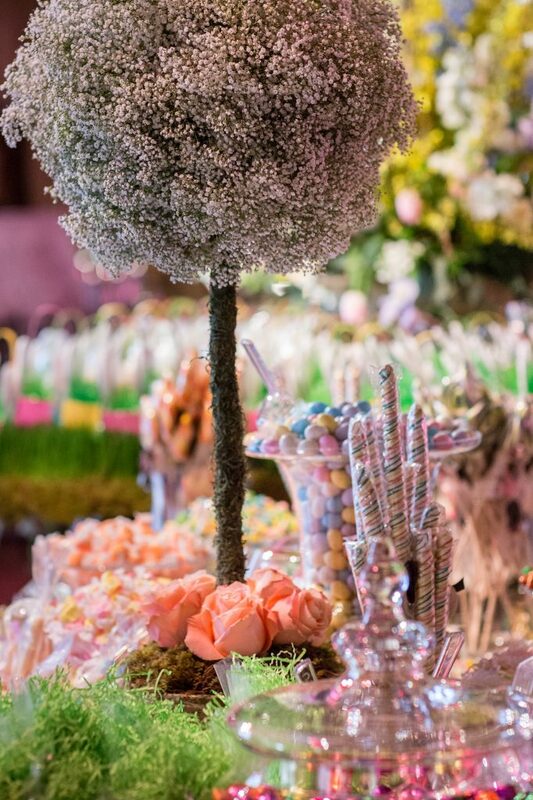 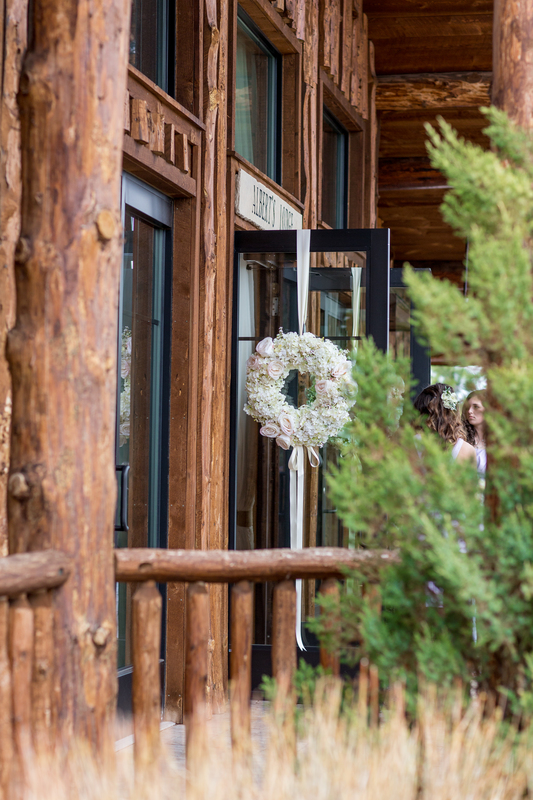 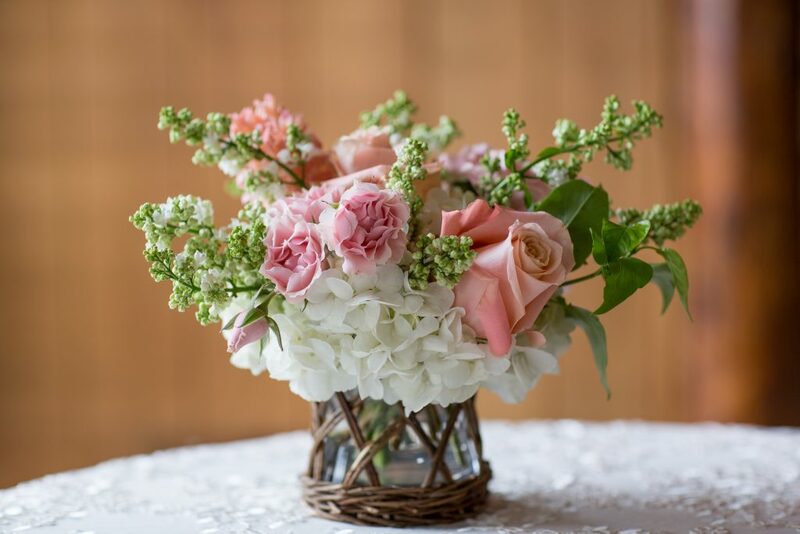 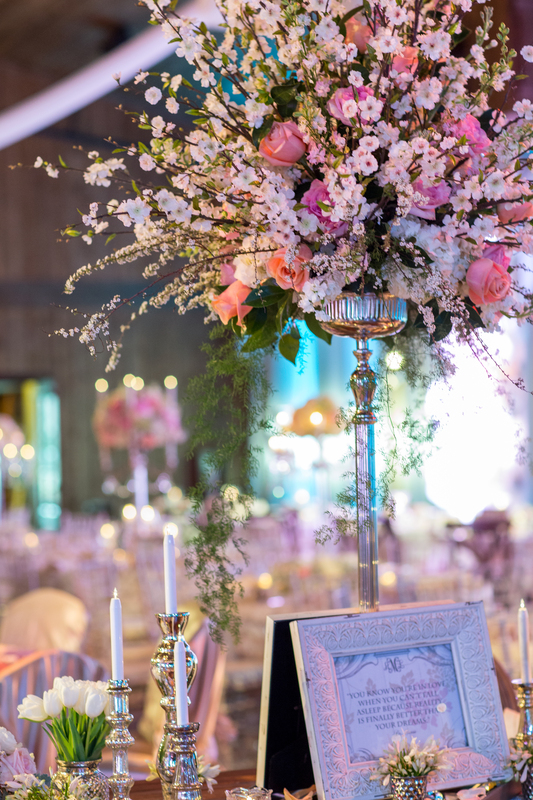 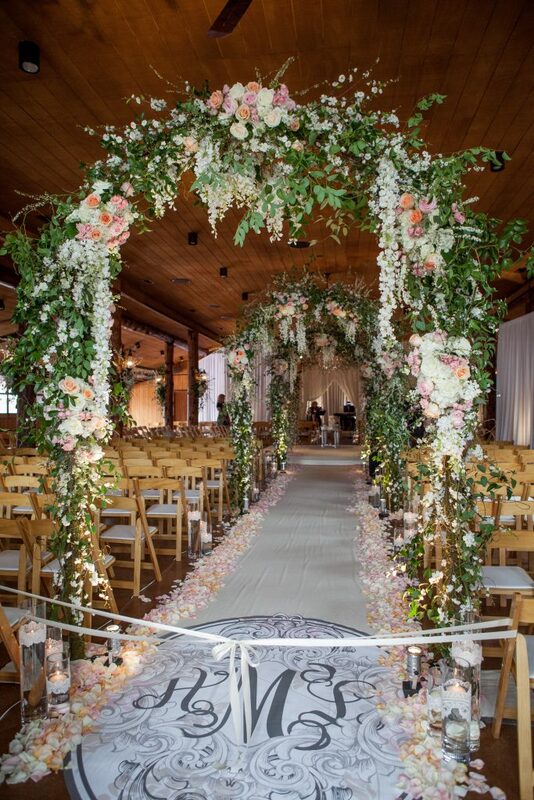 From billowing chiffon fabric entries and lush floral arches to flickering floating candles and lace wrapped cylinders, this spring infused wedding was full of colorful ceremony details. 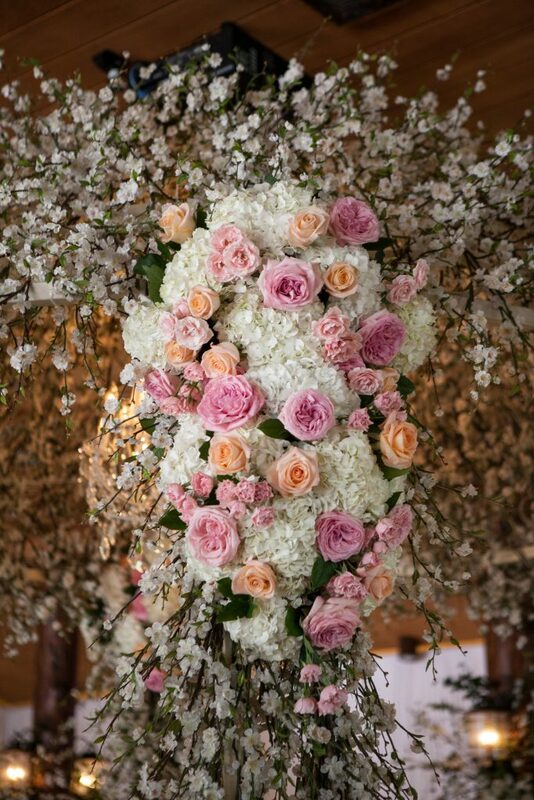 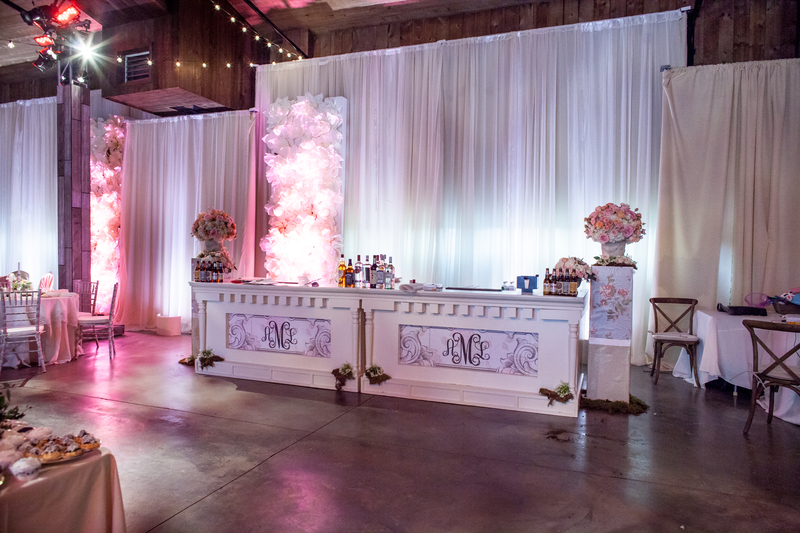 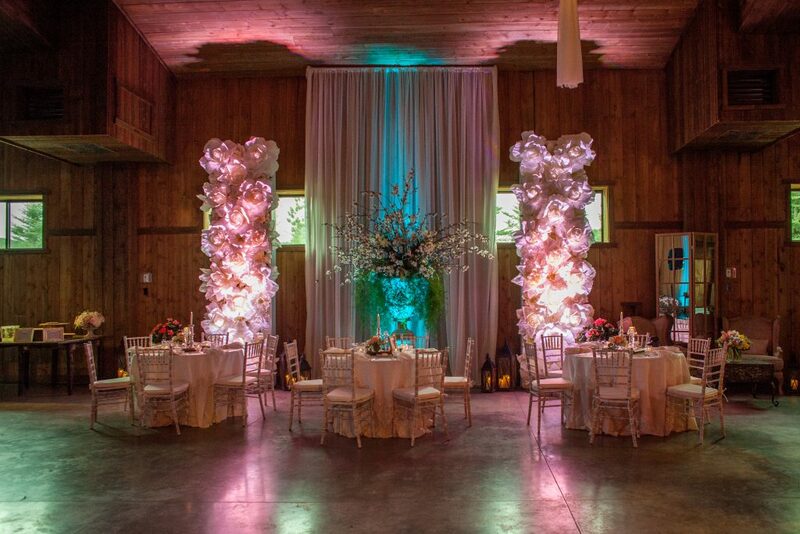 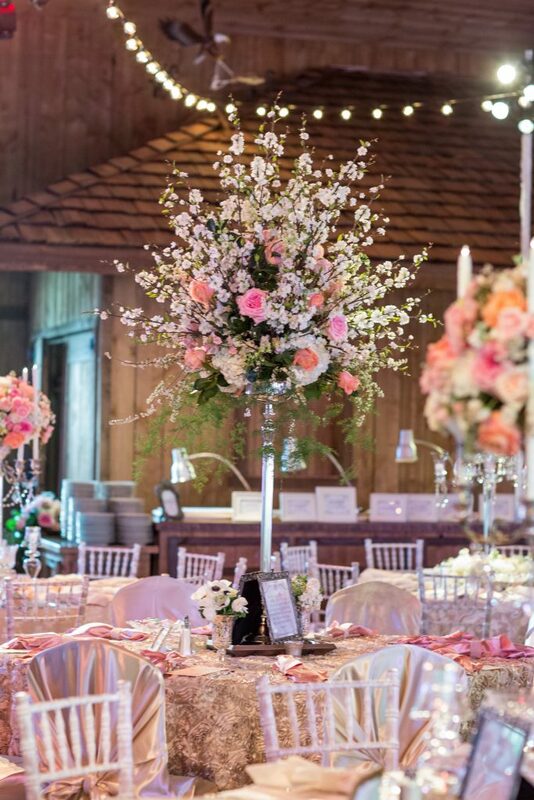 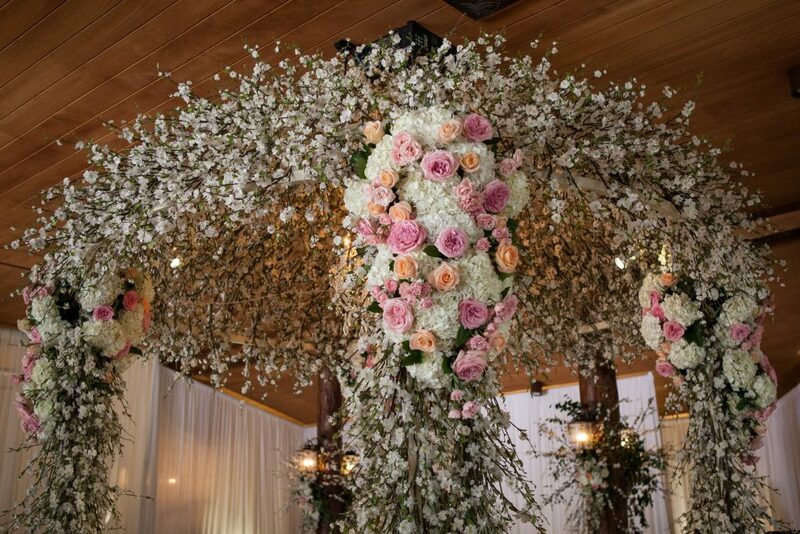 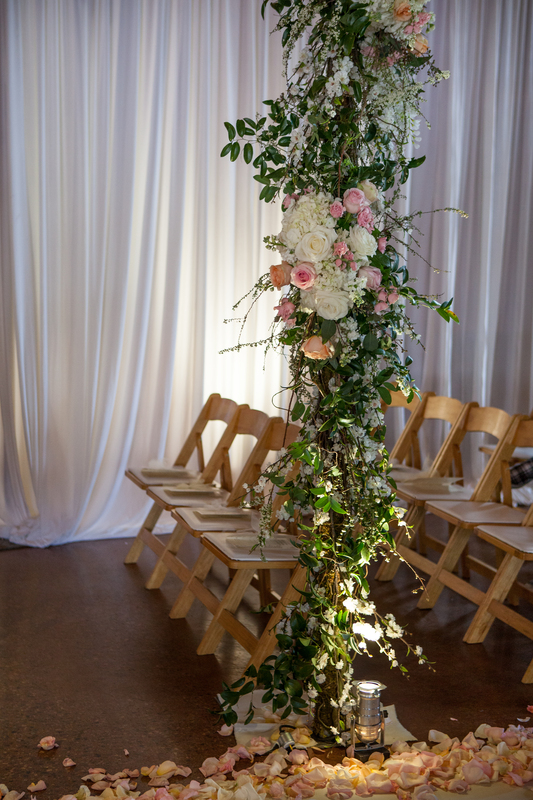 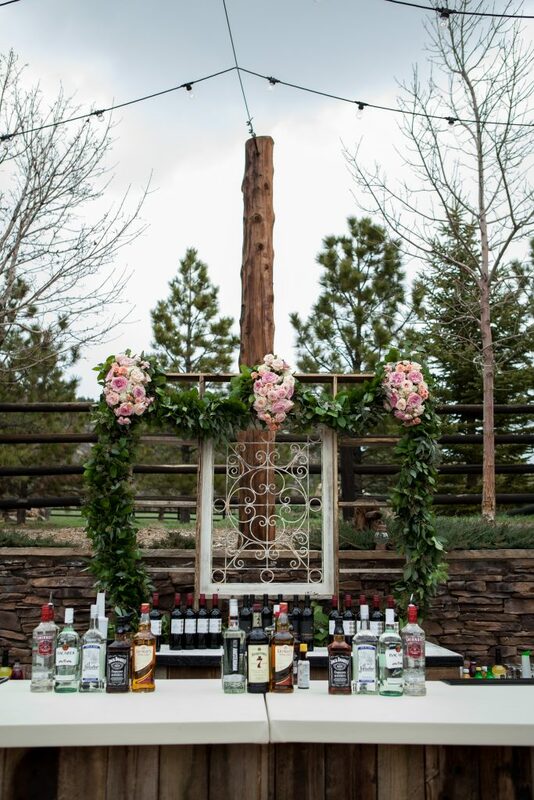 Resting on a riser covered in natural muslin linen, a wrought iron gazebo was covered in cherry blossom branches, light salmon colored roses and southern smilax to coordinate with the additional three aisle arches. 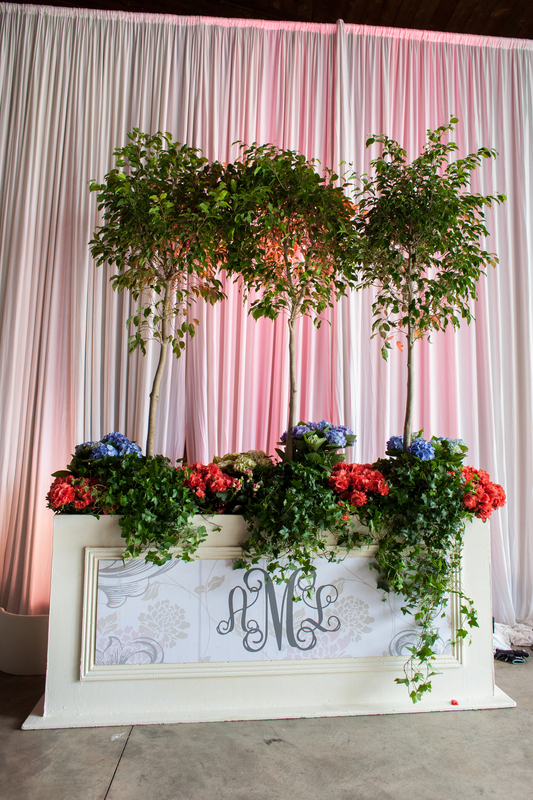 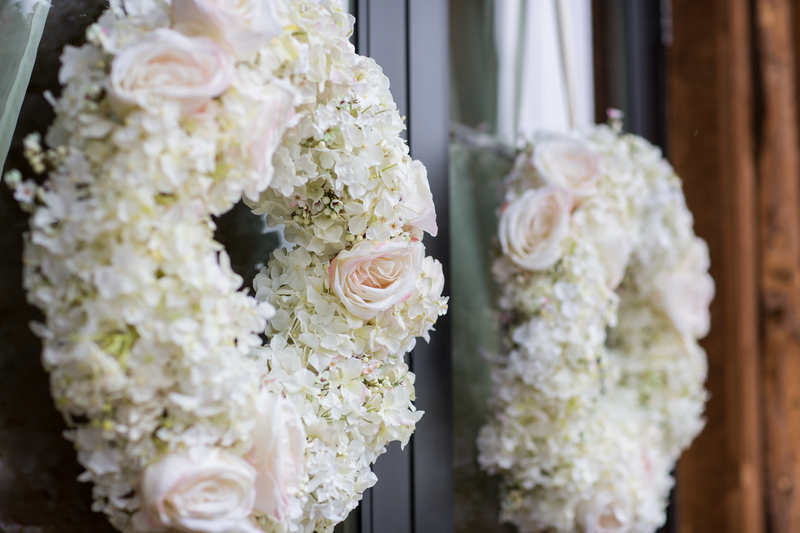 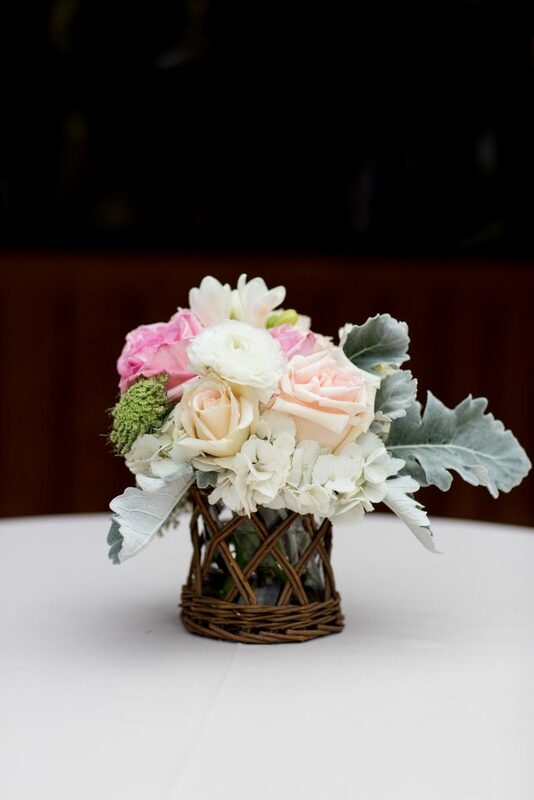 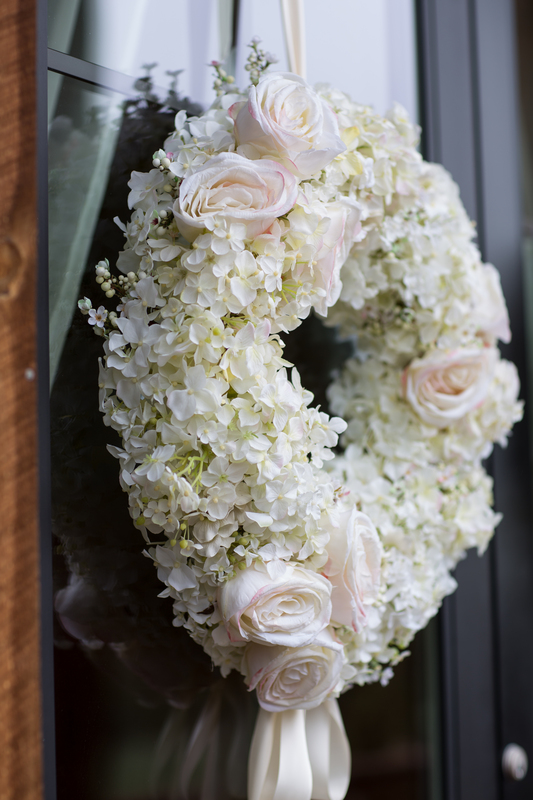 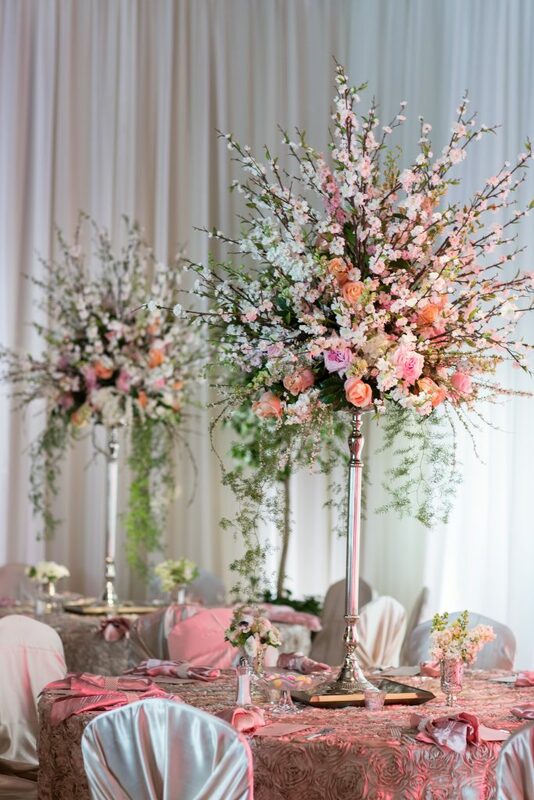 Planter boxes filled with ficus trees, blooming florals and ivy were placed on the entrance doors as well as inside the room which was draped in dense ivory chiffon panels. 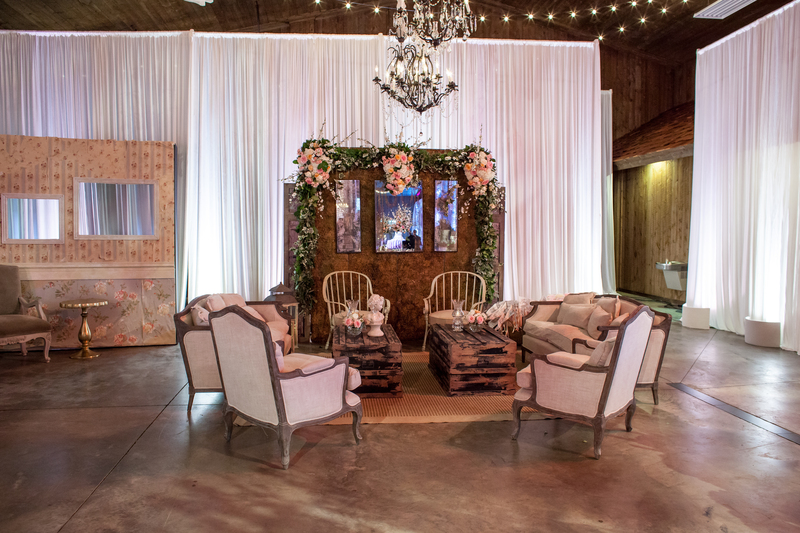 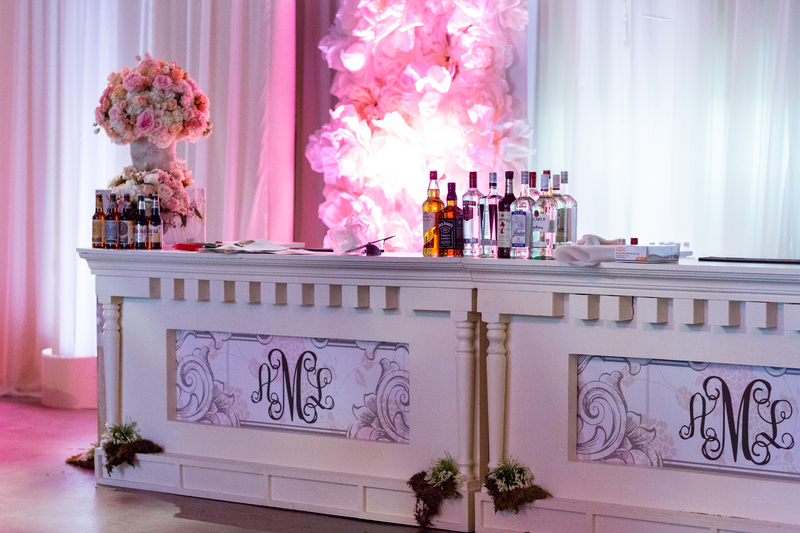 Floor based mirrors, large urns, and custom paper flower walls rested along the perimeter added a chic, and elegant feeling. 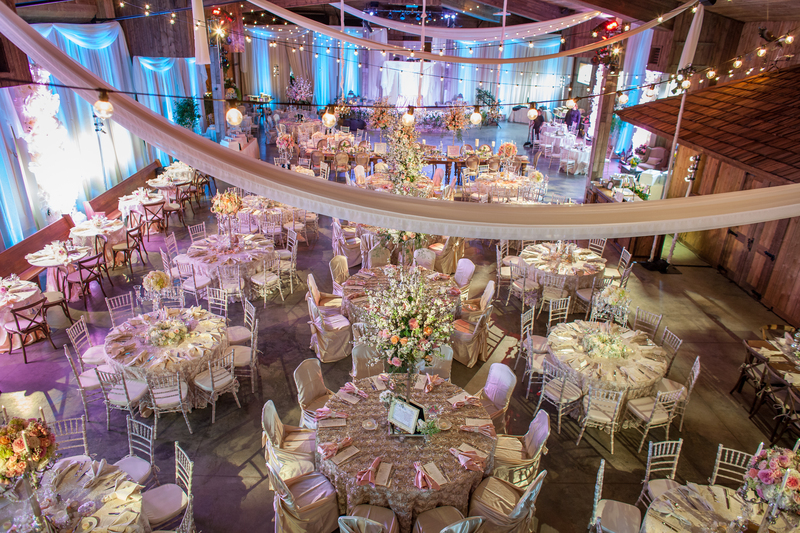 Three large tables positioned at the end of the dance area created the setting for an sensuously adorned head table. 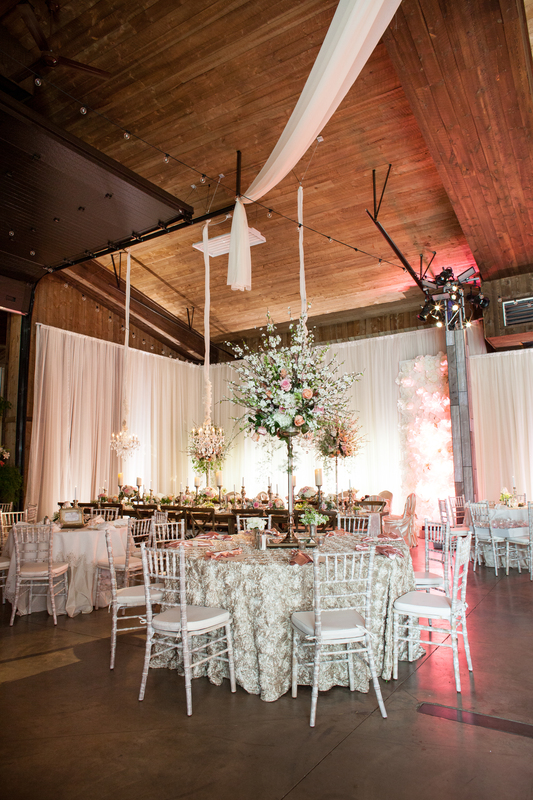 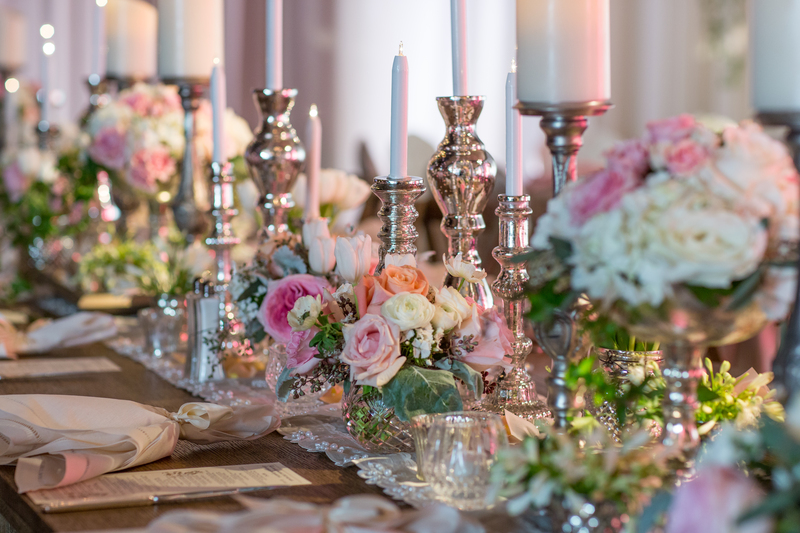 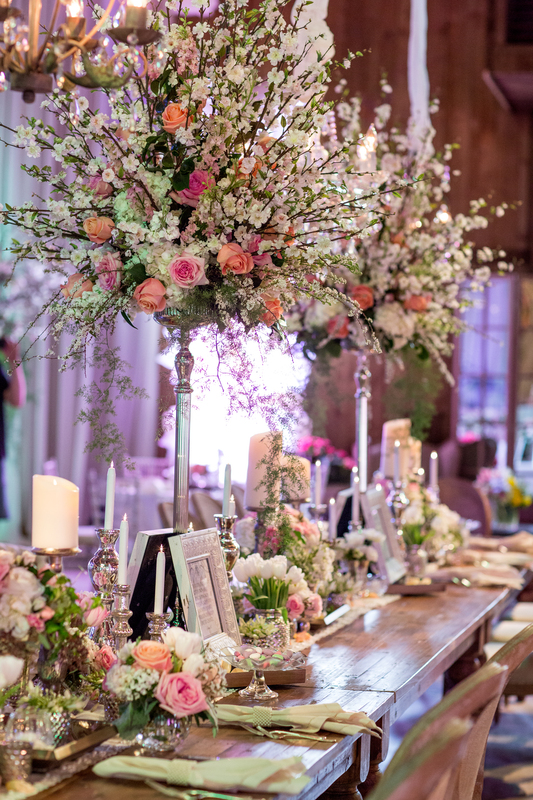 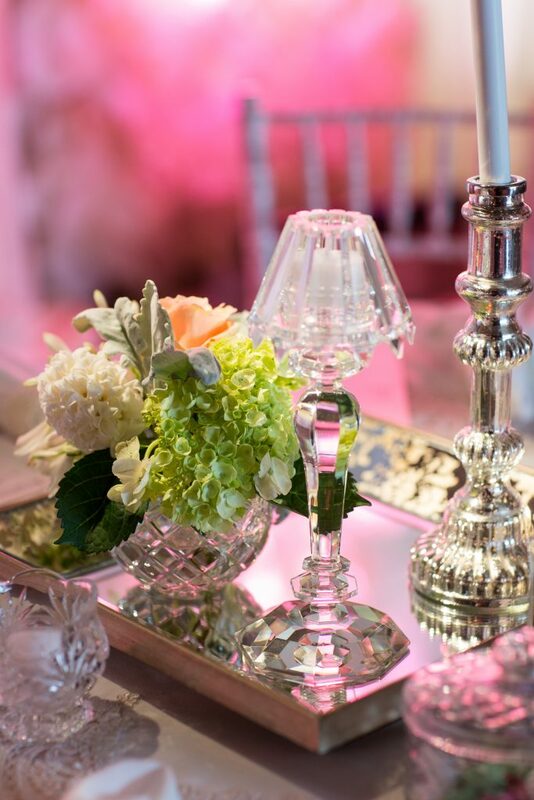 The centerpieces were designed to run the length of the table. 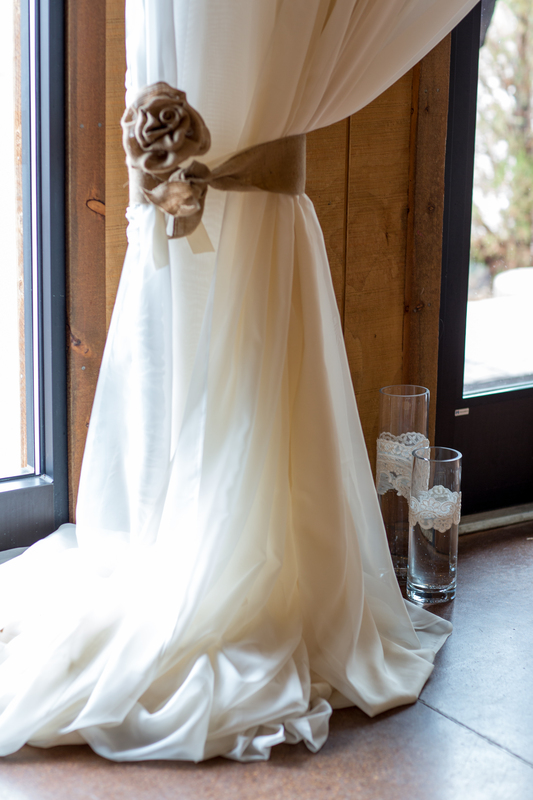 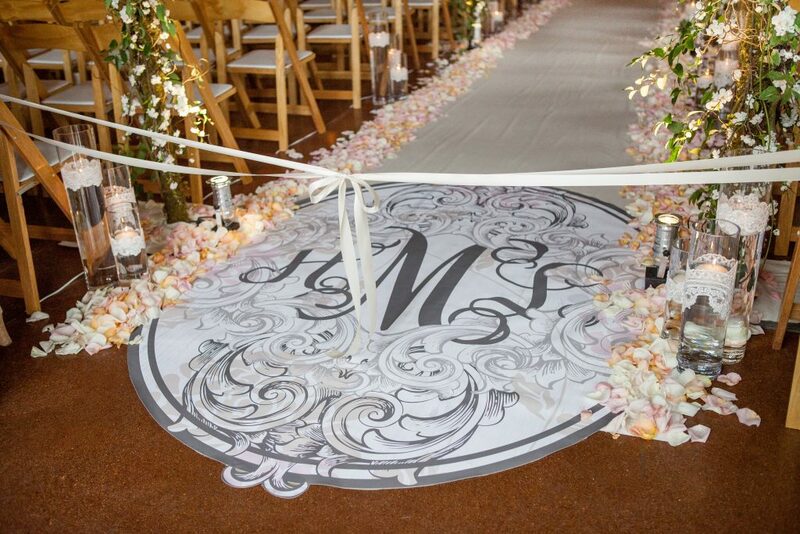 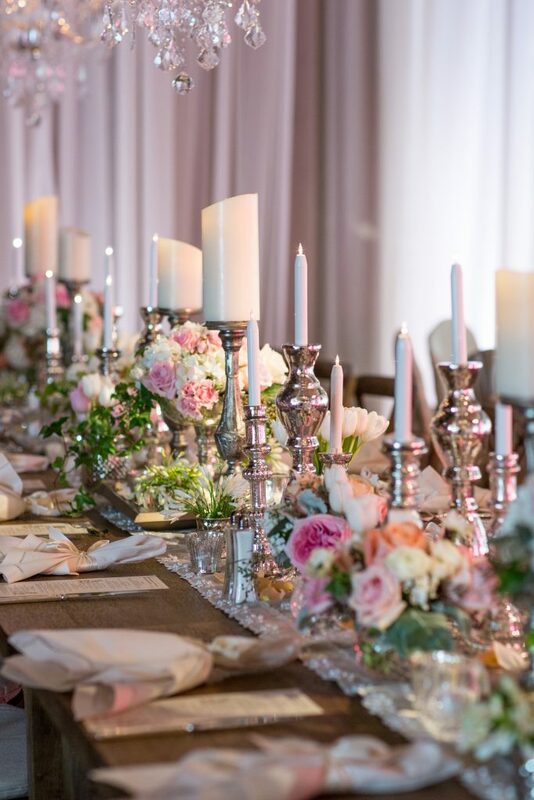 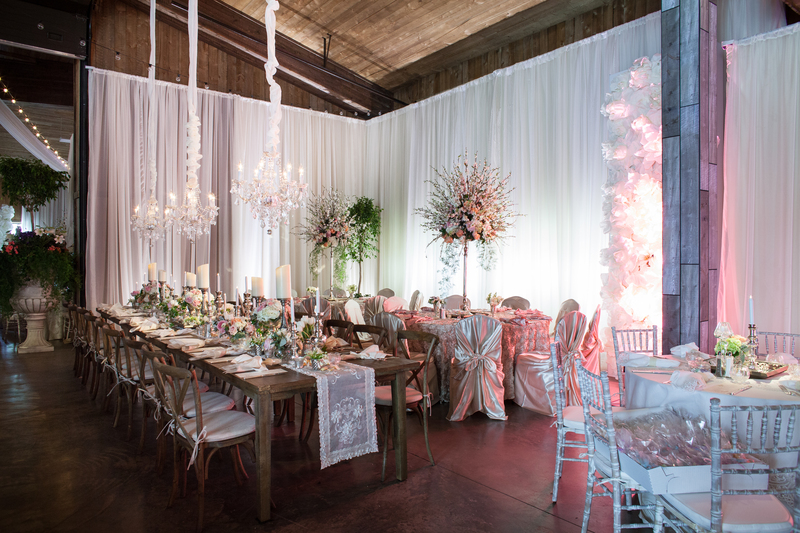 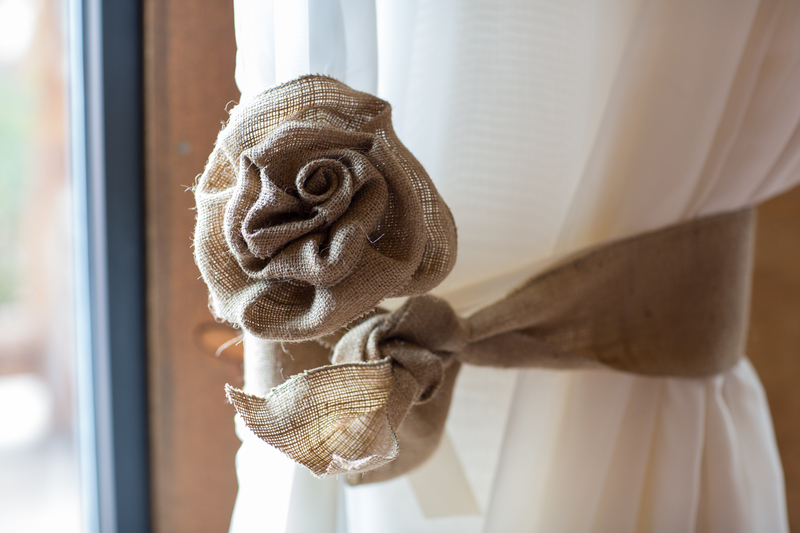 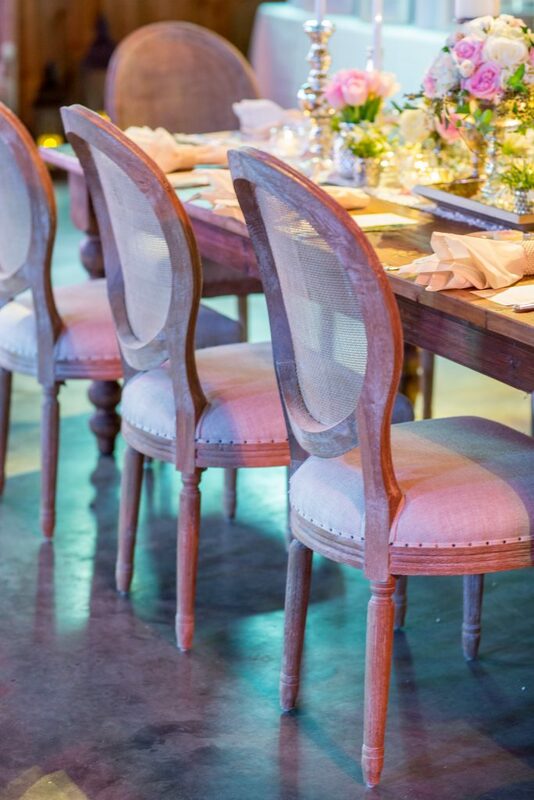 A pearl runner ran the length of the table which is surrounded by textural heirloom chairs. 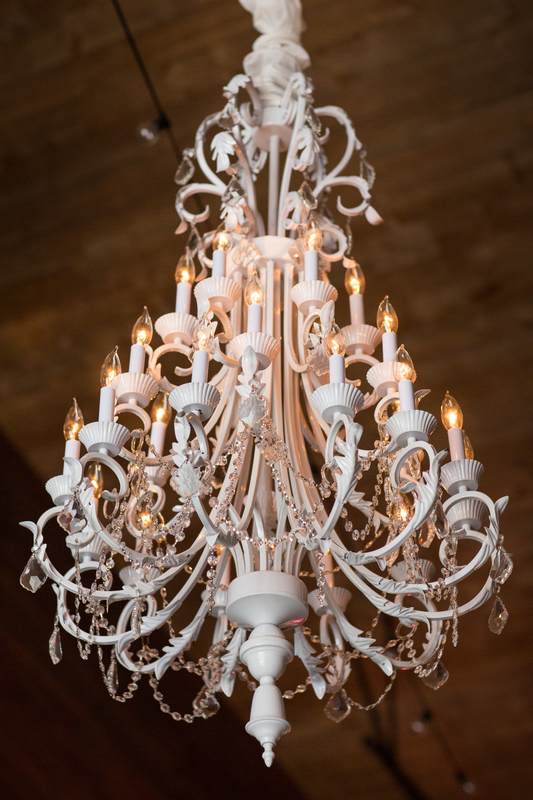 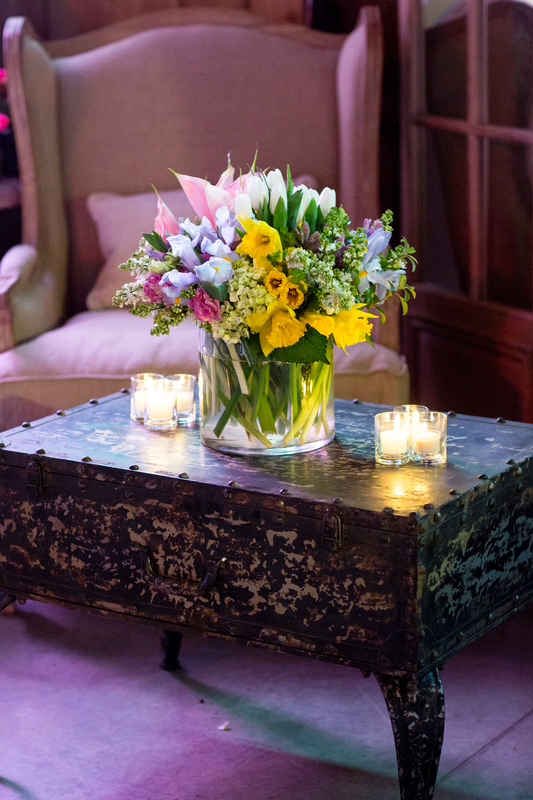 Designed for their guests to have a quiet conversation amoungst each other, two lounge groupings were placed in the entry space surrounded with planter boxes, large urns full of blooming plants, and a vintage chandelier hung overhead. 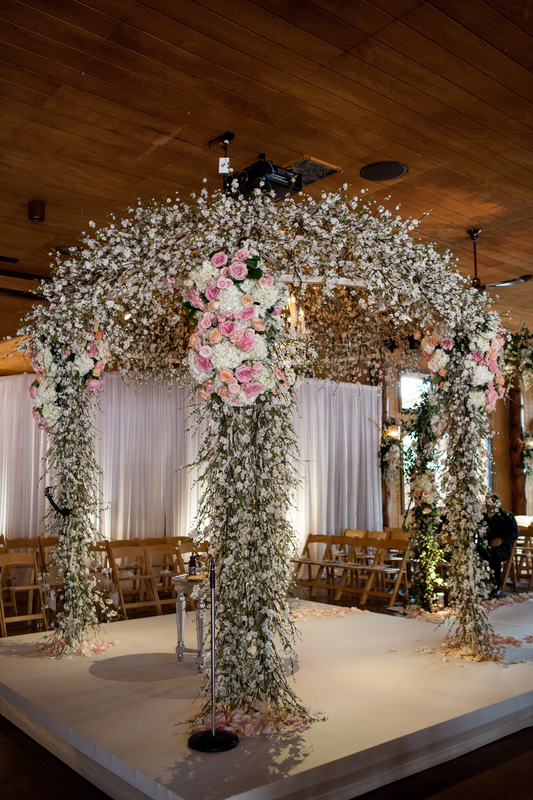 The arch from the ceremony was moved and rested next to the lounges to anchor the areas.